Endowed with a knack for mentoring, Paula Henderson Setters has always loved helping people understand difficult concepts. She decided to pursue her interest professionally, and after considering her options, broke into the education field as a teacher at the Warren Central High School in Kentucky 1970. A year later, she transferred to Homewood High School in Alabama, and four years after that, she joined the staff of LaRue County High School in Kentucky. Ms. Henderson Setters remained with the institution for 23 years before advancing to the collegiate level, with positions as an adjunct instructor and physics instructor at Campbellsville University. To enhance her knowledge and standing in academia, Ms. Henderson Setters obtained a Bachelor of Science in physics from Western Kentucky University in 1970, a Master of Arts in science education from the University of Alabama in 1974. She also completed postgraduate coursework at Western Kentucky University and became a certified teacher in the state of Kentucky. Outside of her career, Ms. Henderson Setters served as a professional development presenter through the American Equity Investment Life Holding Company and as a research assistant for the Department of Energy TRAC Program at the Los Alamos National Laboratory. 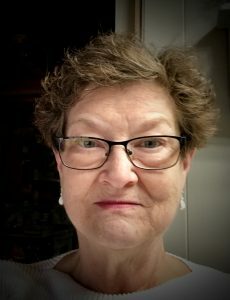 She was also the chair of the LaRue County Relay of Life, the chair and president of special programs for United Methodist Women, and on the strategic planning committee of the LaRue County Board of Education. Additionally, she is a member of the Elizabethtown Hardin LaRue Retired Teachers Association and the Kentucky Retired Teachers Association. In light of her achievements, Ms. Henderson Setters was featured in numerous volumes of Who’s Who in America, Who’s Who in American Education, Who’s Who in Science and Engineering, Who’s Who in the World, and Who’s Who of American Women. If she could offer some advice to the younger generations, it would be to persevere and work hard.